Expat, Mom, gym rat and pinterest junky. Momming it up and trying to keep my sanity. 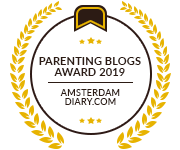 Parenting Blogs Award 2019: Vote now! Click the image.